That there's poitin, boys, close by. For background before there was whiskey, there was poitín. Pronounced putch-een, it was first brewed by Irish monks sometime around the end of the 5th century. At the time it was known by the name Uisce beatha (pronounced ish-ka-ba-hah, or water of life). Soon the knowledge of this mountain dew found its way beyond the cloistered walls of the monasteries. The alchemy of distilling the potent beverage became common knowledge throughout the land. No longer was it the secret of monks or royalty that could afford it. Interestingly, in 1661 King Charles outlawed this beverage crafted from barley, potatoes and beets. This of course did not stop commoners from building hidden and quite illicit distilleries. Often a small portable vat known as a poitín (Gaelic for little pot) was used. Chances are if you found a potatoes farmer they knew where to get a bottle of the good stuff. Very often the average poitín packed quite a punch at 95% ABV (alcohol per volume), making it even more legendary. In 2008, Irish poitín finally became a commercially produced spirit. So how does this tie into game material? Well the leprechaun is probably the most famous of the Irish faerie folk. According to Yeats, they were a solitary faerie generally known for toiling at crafting shoes. From this they most were very rich with many buried treasure crocks. He goes on to say, They are withered, old, and solitary, in every way unlike the sociable spirits of the first sections. They dress with all unfairy homeliness, and are, indeed, most sluttish, slouching, jeering, mischievous phantoms. They are the great practical jokers among the good people. All that shoe making I imagine makes for a very dry throat! 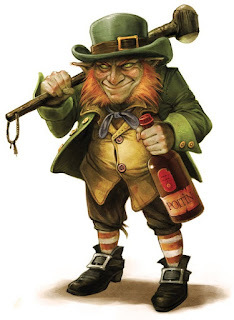 That being said, I decided to create two different types of leprechaun poitín for use in your campaign. The mundane version of this forbidden elixir already is attainable only on the black market. 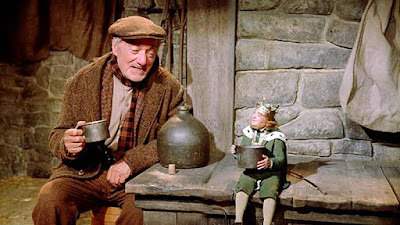 But what if there were magical recipes of poitín crafted by the faerie folk? The lengths that Kings, Queens, powerful wizards, and merchant guilds would go to acquire some would be great. So bring your tankard and try a wee dram, they say the first drop is the best! The etymology of Leigheas is from Old Irish leiges‎, meaning healing or medicine. This strong version is crafted with blackberries for added sweetness. A favorite of the faerie folk, it is renowned for its curative and euphoric powers. Some say that rare fungus from the Sidhe gardens is a secret part of the recipe. Drinking a mouthful of this enchanted beverage will instantly make the imbiber intoxicated. Any pain or discomfort they were feeling is completely numbed by the beverage. In addition any magical charms affecting the drinker are immediately ended. Finally the imbiber heals 1 point of damage a round for 3d6 rounds. Unfortunately, depending on your perspective, the intoxication is also cured after the last round of healing. However, the resulting hangover is as nearly debilitating, but not in a good way. The etymology of Amadán is from Old Irish ammatán, meaning fool or simpleton. 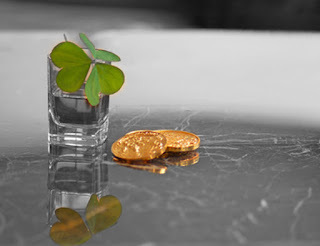 Leprechauns craft this mind-altering tonic simply for entertainment or to beguile humans. It is well known that finding a bottle of non-labeled poitín comes with inherent risk. It is often discovered in abandoned cabins, lying against an old tree, or around a bed of mushrooms. For those commoners thirsty for a drink of poitín, often the risk is not long considered. 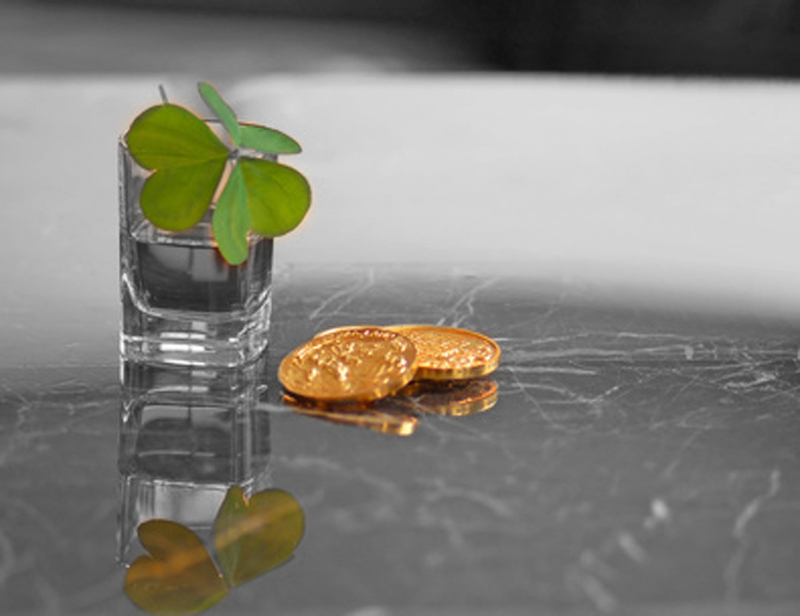 This is exactly what the leprechauns are often counting upon, and more often than not they are successful. Consuming Amadán is the equivalent of drinking a liquid Charm Person spell. The caveat being, as a willing participant no saving throw is permitted. One task must then be completed for the leprechaun. The task may be simply to dance and sing or may involve something a tad more mischievous. If you enjoyed this post and plan on running a Celtic, Irish, or Faerie folk themed adventure consider Tales from the Game Tavern issue#3. Available now in print and pdf it includes a complete adventure involving a leprechaun with supporting material throughout the zine. If you are a home-brewer and interested in crafting your own poitín you may want to visit this link. Just be sure you drink from the correct bottle as you never know what pesky leprechauns may be around!